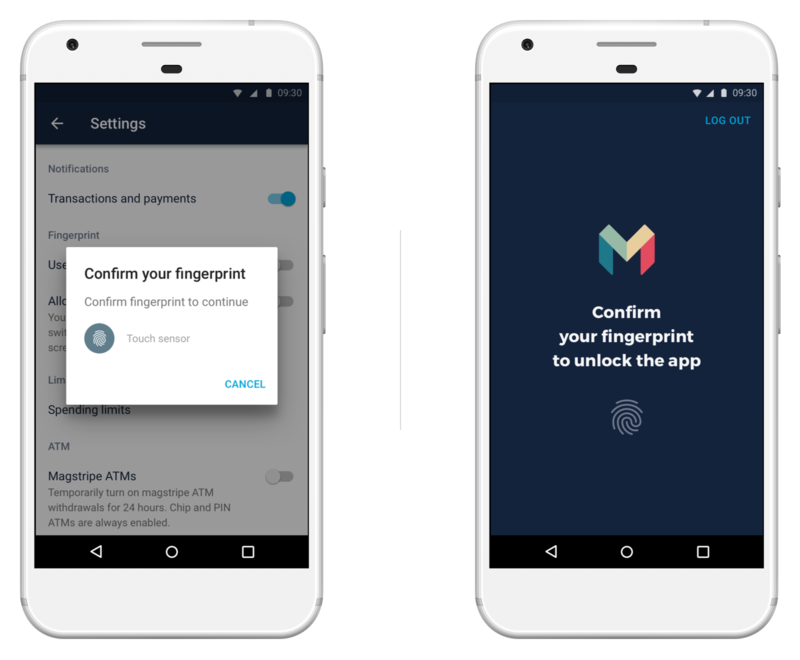 If you want some extra privacy when you’re using Monzo on Android, you can now choose to unlock the app with the power of your fingerprint. This helps make sure you’re the only one who’s able to unlock your app. This will obviously only work if your Android phone has a fingerprint reader! It’s worth noting that this doesn’t mean that you can use your fingerprint to authorise payments, though this is something we want to add in the future! You can also choose to hide the contents of your Monzo app from your phone’s recent apps screen. Android adds an extra layer of privacy, so if you turn on this option you won’t be able to take screenshots of your Monzo app. We know that screenshots can sometimes come in useful, like if you have an issue and want to explain it to customer support. So, if you want to keep taking screenshots, you’ll need to switch this second option off.